True to our reputation we are again at the forefront of new technology with our latest 360° vehicle Cameras, Bird’s Eye View aka Top View camera. 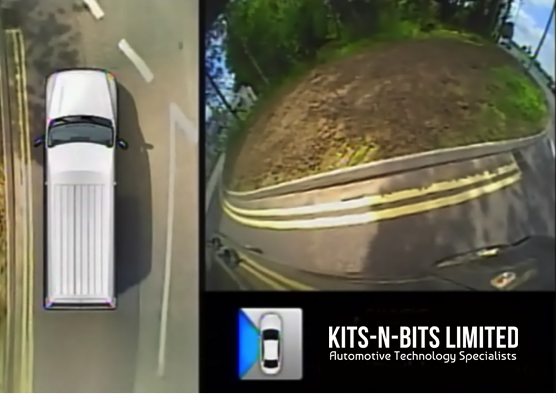 Our new updated version utilises up to 8 Sony 1080P full HD camera’s, with a 192° horizontal viewing angle, secured to each side of the vehicle. The images are continually processed and digitally ‘stitched’ together to provide a seamless 360° ‘Birds Eye View’ on the LCD monitor. This ensures the driver can see hazards all around the vehicle, eliminating the blind spots, resulting in improved safety for other road users and passengers. Particularly useful for on-site health and safety compliance and low speed manoeuvring, helping to avoid injuries and fatalities especially in congested areas, confined spaces and narrow lanes. The 360° camera can operate as just a camera feeding info into the driver’s monitor. Recording capability can now be added with an internal SSD or HDD up to 1TB. It can also be connected to fleet software if required, using the ethernet connection, 4G Dongle or Wireless dongle, which can connect to a 4G Router. 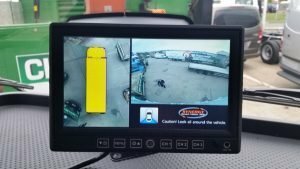 360° Vehicle Cameras – How do they work? The 360° Camera Bird’s Eye View is a state of the art Parking Assistance System and AVM – Around View Monitoring system. This innovative system utilises up to 8 individual cameras mounted around the vehicle. The images are processed to provide a full 360° video on your vehicle monitor to form a bird’s eye view. Five different views can be selected through the control button, some of which are automatically selected when the turn indicators or reverse gear is selected. The 360° Camera Bird’s Eye View monitoring system differs quite substantially from the conventional systems which relies only on side mirrors and a rear camera while parking. Please call us on 01446 334005 if you’d like information about this product, we can talk you through the options available and help you find the perfect solution for your vehicle or fleet.